Those who don’t know, I like games. I played quite a few of them in the last year. So here is my Top 10 games that I’ve played in 2016. To be eligible for this list, I must have put considerable play time between 1st January and 31st December of that year. If a Game is rendered unplayable or unable to be purchased, by the time of creating this list, it is excluded. No restrictions are in place to prevent older games to make the list. For example, the Nintendo Entertainment System’s Super Mario Bros. is allowed if I played it, and put in considerable time. In a few cases, where multiple games or DLC of a series was played in the same year, to get for a pair of games to second listing this need to stand out separately from the other. As this list is based on what I played, so If I didn’t play your Favourite game, don’t be upset and start shouting for your game to be number one, remember most of the time your game has chance making this list next year. 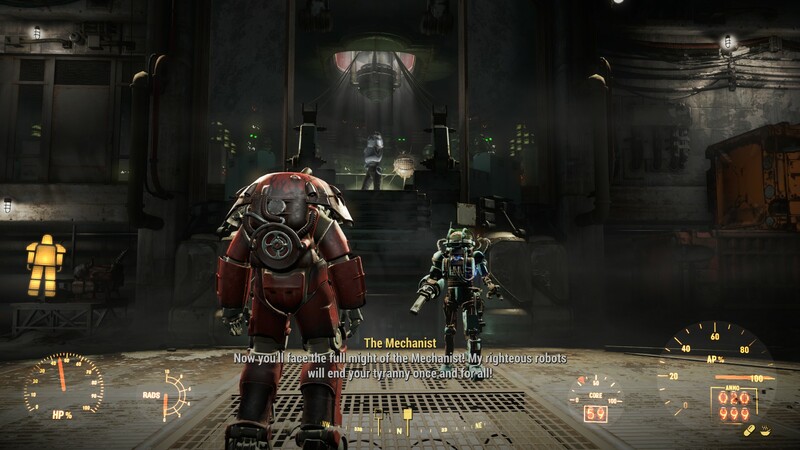 The player talking to the Mechanist during the Automatron DLC. If this List was here last year, this game certainly been on it. But this time around, I spent less on the Main story and more about the DLC Stories. The Automatron added the first new story within Fallout 4’s Boston, it features a series of Robots going wild within the Wasteland. You find out what is making the most of the robots attacking the settlements. Compared to the Main game, the story is short, however the ability to create Robot Followers is unlocked during the events of the story. It was more of a great game without making the game feel like it was added on as an after thought. In Far Harbour and Nuka-World new areas, with new stories. As I’m not I finished them, I’m going leave the mini-review until next year if this game makes it. Well, this being a weirder non-standard games. This game is clearly the shortest timed within a game on this list.. I played for 90 Minutes, where every other game had at least 10 hours. I, however, completed this game easily, three times in those 90 Minutes! It’s qualifies more on seeing the ending more than the actual time played. 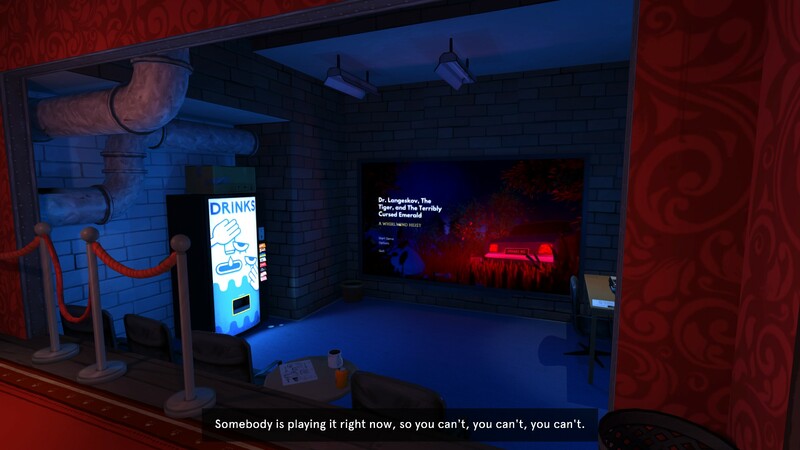 This game places you back stage for the game of the same name, but due to a Mixup and poor staffing, you, the player, must operate the elements to game from back stage, under the voiceover’s direction. The entire thing feels like a poorly managed theatre, going from bad to worse. The game has several side quest that unlock after the first play though. One of them taking a Tape recorder and listening to all the tapes. Another is to pick up all the loose change, and another is to buy a drink. About that Tiger.. It’s there. This is one of a few games that Look great AND plays well. I like the original so much: I got the Vita version, just to play it again. Seriously, it’s one of the games I wanted to get a Component cables for the Wii for, or get a PSTV. 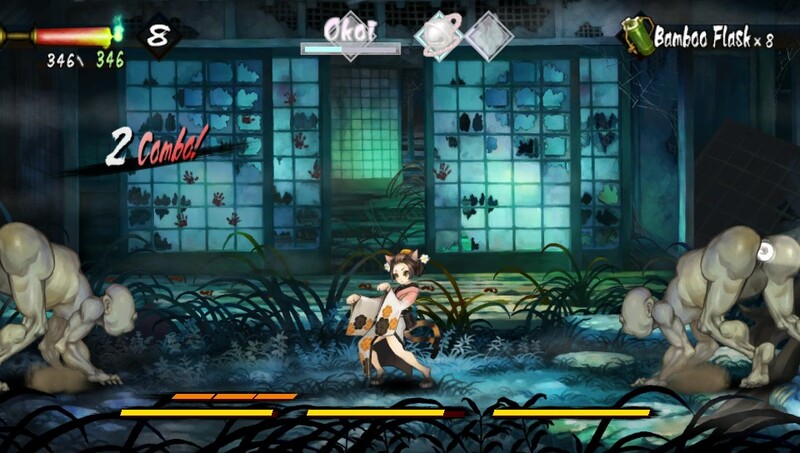 Murasasa features two stories, One story follows Kisuke, while the other story follows Momohime. Both Characters fight similar as they share weapons during the post-game, In a few optional cases they share scenes. If or when you die it’s feels more like the fault of the player not a cheap trick that some games use. Fact that the localisers chose to use keep the Japanese dialogue, and not provide an English voice over, helps sell the characters partly the story is based Japanese Myths and set in Japan. One Addition to the Vita version are extra tales as DLC, While shorter than the Momohime or Kisuke’s each DLC adds an entire new story that could be beaten in just over a hour. I liked Fishy Tales of the Nekomata. Oh boy. It’s one of those games, I wanted the Limited Edition Disc for.. However it turned out that getting any Disk at all was limited.. Sigh…. This game took the idea combing two separate Franchises and combining them together. This case it was Nintendo’s Fire Emblem Series with Atlus’ Shin Megami Tensei. You play as Itsuki Aoi who during the events of the early came is a Mirage Master, who can summon an Mirage, in this case Fire Emblem Awakenings’ Crom. The Game Feels very similar to Shin Megami Tensei’s Persona 3 and 4 games for the most part, however the “Weapon Triangle” being integrated with SMT’s own Battle system. A large amount of the Most of the Mirage are take from one of a few Fire Emblem games. The fact that both franchises essentially do not have sequels outside of few cases, and most games has a few connections to other games of that series. It feels more like it’s own game than it does as the other two. 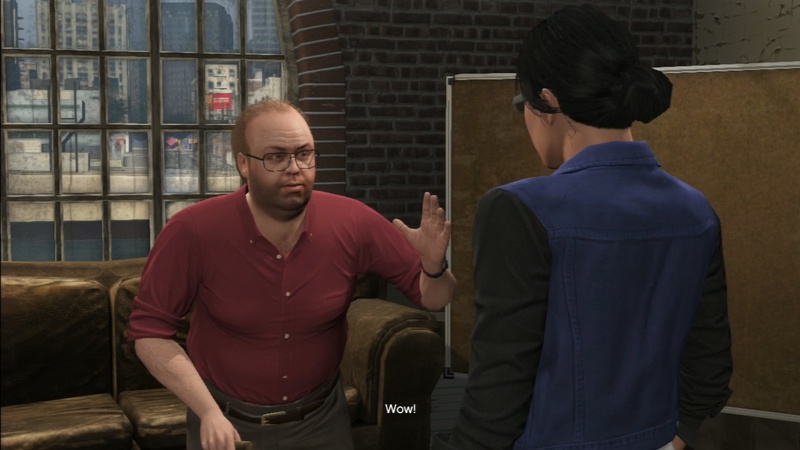 Custom player Character with Lester in GTA V Online mode. It’s rare I play a game twice in a year, this happened to be the one of them. The PS3 version was on-loan, while the PS4 version was an actual purchase after completing the PS3 version. Well, what Rockstar has done surprising well, as usually the GTA games has some controversial elements, in this case the mandatory sequence that features information extraction.. to be putting it politely. I’m glad that near the end of the game, you get a chance to get rid of the person who ordered Trevor to do it in the first place. As a Racing game or a Shooting game, this is probably one of the best game that does for a few years. And, they got rid of the Bowling.. The bowling wasn’t bad, it was the partner choice in GTA 4. Going online is another challenge where you can do Missions and races with other players using most of the cars and gear from the Single player game. The PS3 and X360 game no longer are getting updates and are essentially done, while the other systems are still being updated in 2017. This one is weirdly named, as I started to played Destiny, and all the DLC packs, this year. So I’ve chosen to name the package that closely matches my experiences of the year, over the actual Purchases. This is one game suggested to my brother. This FPS features your character countering “The Darkness” in the form of Various creatures. Towards the end of the Main game, you kill Crota. 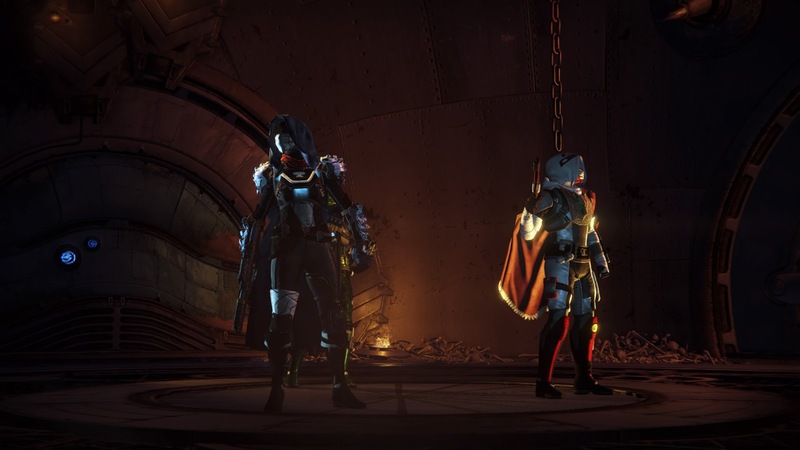 In the First “large” expansion “The Taken King”, you fight Oryx – The Taken King and the father of Crota, and in this latest expansion Rise of Iron, you find the Fallen have unearthed a secret that Iron Lords have died to keep it Safely hidden. As FPS goes, it not bad in the play, but the most of the back story seems to almost entirely posted online, and not really visible in game. 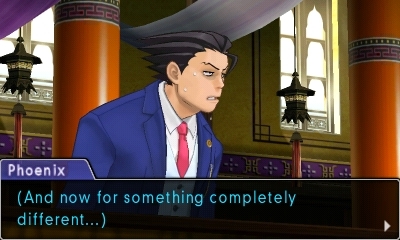 Phoenix feeling the court room tension. Well, the longest time played on my 3DS in 2016 has to go to this one. This is being the 6th main series Ace Attorney game, and the 8th game in the Series that made it west. Having played all 7 previous games, and enjoyed them, it was a day one decision to get the download. In this game, Phoenix Wright enters the court in the Land of Khura’in. This allowed them to reintroduce mechanics for new players. After an absence of two games, Maya Fey returns and gets herself accused of Murder.. again. This time they use her Spirit Channelling ability to help tell the story. While in previous games, she used the ability, she was very limited to who she could bring up. Towards the end, this game feels like a closer to an apparent Apollo Justice Trilogy, with the focus on Apollo more than the resembled cast. If you’re new to the series, I’d start with the Phoenix Wright Trilogy. In terms of time played, this one would be number one. This year, the PC version got a Free Expansion which allow player to start off in the TOS Era. They managed to bring Walter Koenig to reprise his role as Pavel Chekov. You can visit the Enterpise during the TV show’s episode Journey to Babel. Other Actors from each series reprise their roles, Matt Winston as Crewman/Temporal Agent Daniels (Enterprise), Denise Crosby as Sela and Tasha Yar(TNG), Michael Dorn as Worf(TNG/DS9), Aron Eisenberg as Nog(DS9) and Tim Russ as Tuvok(Voyager) to name a few. 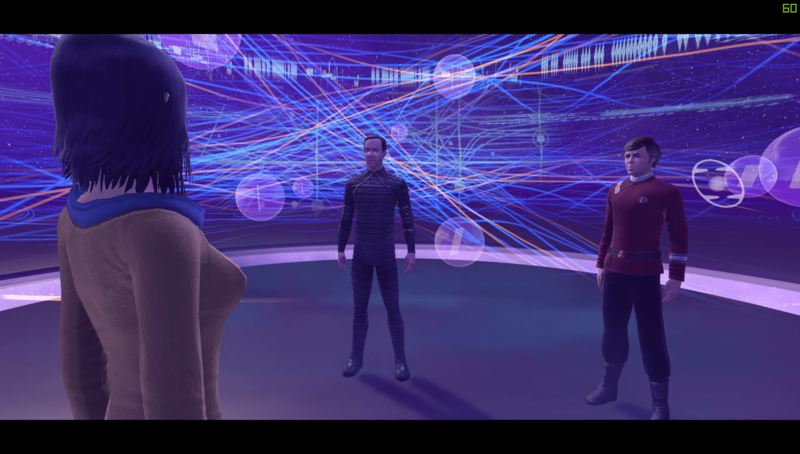 Most lines heard were recorded for Star Trek Online. They did use Chris Doohan, son of the James Doohan, to voice Montgomery Scott. One weird addition to this Cast is 0718, Science Division Lieutenant that appeared in the 2013’s Star Trek Into Darkness. This year saw the Launch of the Console versions, which featured most of the content that was in the PC game is already in the Console version. The Neat thing about all all three versions is that It’s FREE! 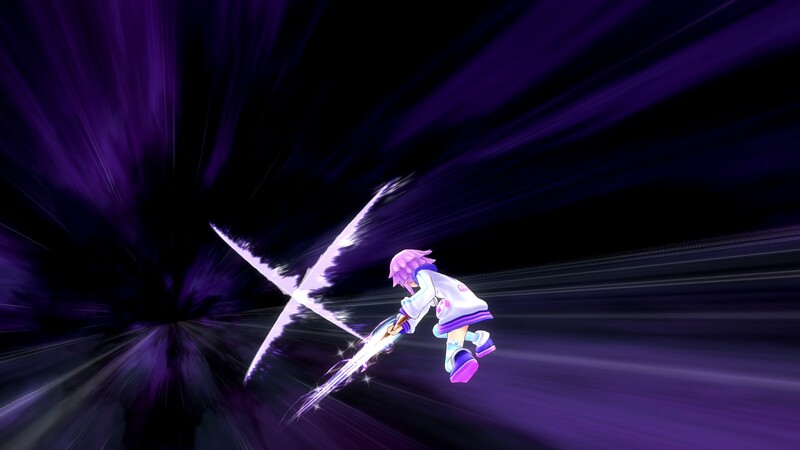 This game acts like as a sequel Hyperdimension Neptunia Re;Birth 2 and Re;Birth 3. This game series doesn’t really itself seriously, and often jokes about things where they can, without getting out of character. One Joke within the Series has the”Protagonist” (Her words not mine.) 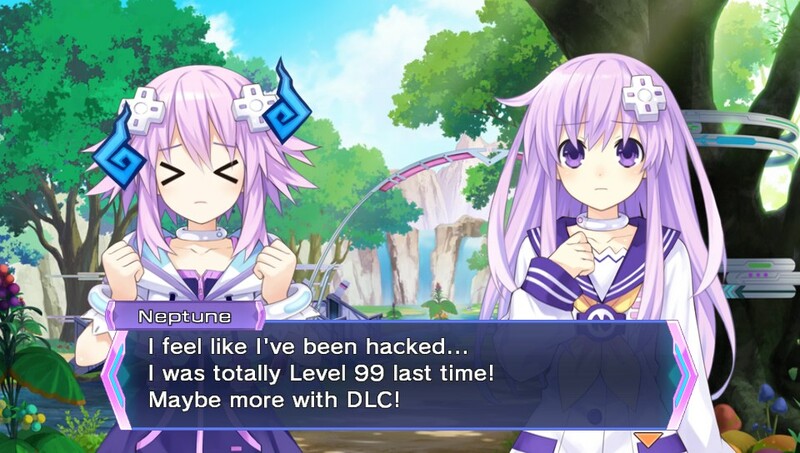 Neptune asking why she’s back at Level one, where she was Level 99 without DLC. (Level Cap Booster DLC is available with these games.) Another is having Neptune fall from a great height. 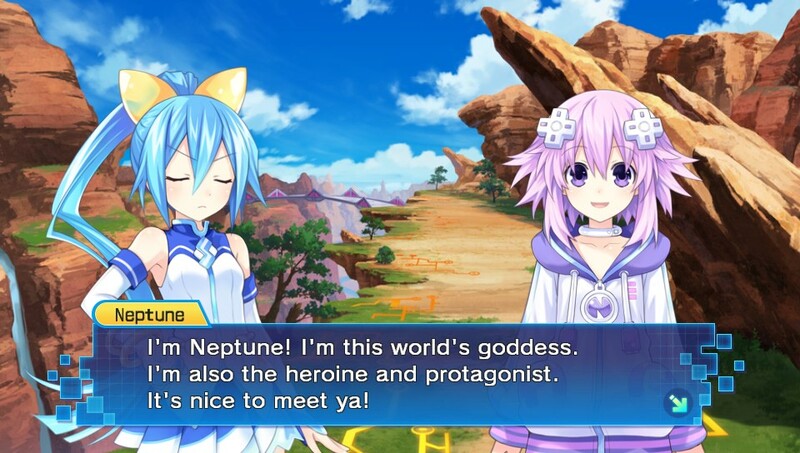 The “Main” Characters are based on Consoles, with Neptune being based fictional Sega Console. Unlike the Previous games, This game has a section where the player has to play as one of the “four” CPU characters at a time. While this sounds bad a first, it basicly lets each Heroine shine without being out done by another character. I think some people think that this is 7th title in the series, but as the Title is Spoken as “Vee Two” and Its’ actually the 4th in the series. The Three Vita and PC games are remakes of the first three PS3 games, with changes to help the game run better on the Vita. As a Long Term Pokémon player, The changes from the 8 Gym Challange to the Island Challenge, is welcome. While the is alot of familiar things within Alola, there is enough changes for long term to be interested, but not over welm new players with information need to play the game. This time around alot of the information needed is at the users fingertips if they so wish. 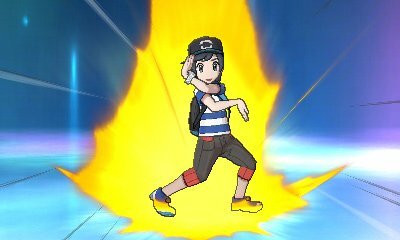 The Super/Not very effective additions to the moves in battle are an example of this. As existing players already know this, while new player will be able to pick it up quickly, without alot of trail and error forcing a some players to just use one Pokémon.